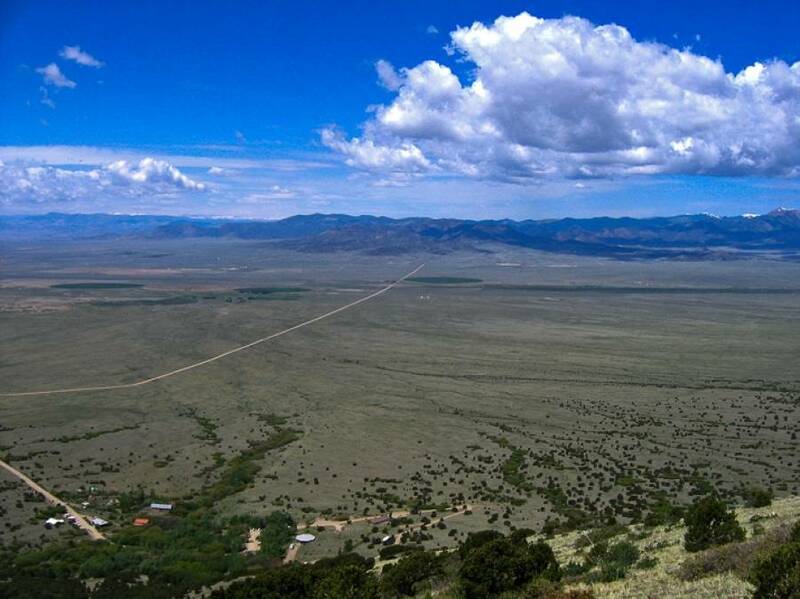 The Orient Land Trust protects and shares 2,200 acres of open space located 4-1/2 miles south of Villa Grove, Colorado and 7 miles east of the junction of U.S. Highway 285 and Colorado Highway 17 on Saguache County Road GG (a gravel road). This high-mountain, rural oasis is far removed from gas stations, grocery, and other services. OLT stocks a small selection of local foods and snacks. It is a 175 mile drive from Denver (over 3-1/2 hours), 146 miles from Colorado Springs (over 3 hours), 198 miles from Santa Fe (over 3-1/2 hours) and 260 miles from Albuquerque (4-1/2 hours). The closest towns with services are shown on the maps below.